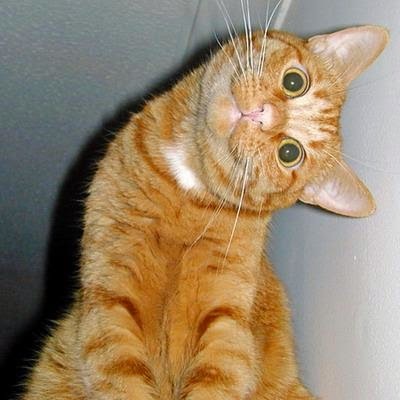 If you want to have fun you just have to see the images that we present below, it is a selection of interesting photographs that have as their main protagonists a group of cats in different and funny situations. Select the photo you prefer and share it with all those people who you want to entertain. 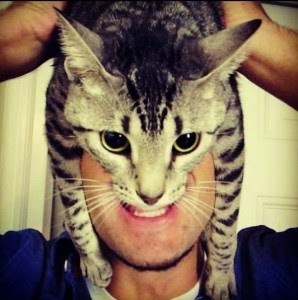 A funny image with a cat on his face that allows a to see a boy with a penetrating way of looking. 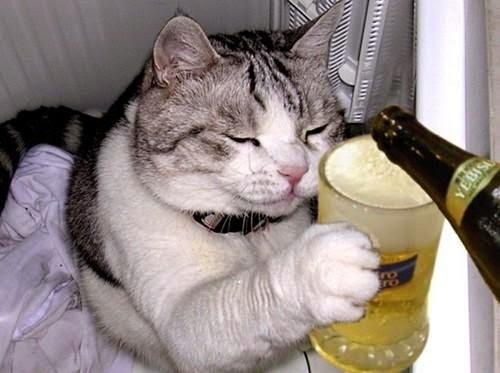 In this picture we have a cat forgetting his pains with a glass of beer. If you were looking for a tender expression, here you have nice cat. 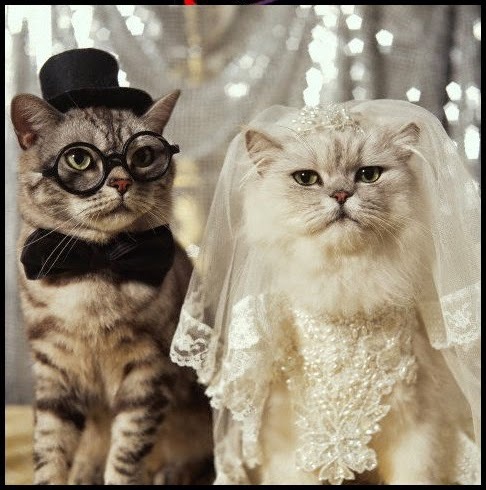 A funny photo with two cats dressed as a bride and a groom. 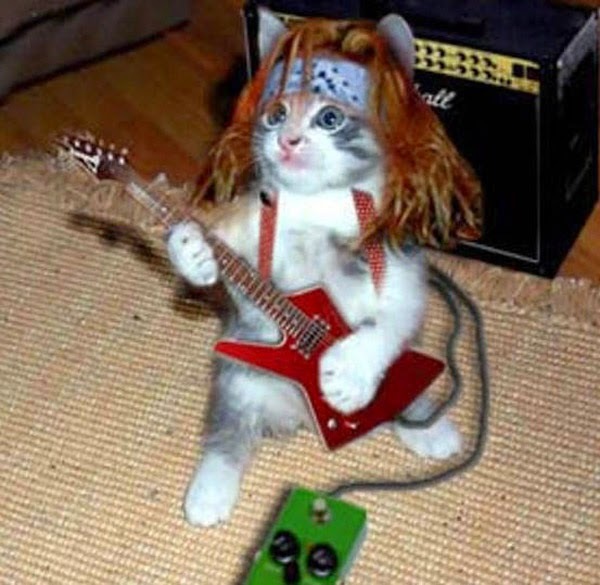 Here we have funny picture of a rocker cat playing his electric guitar. 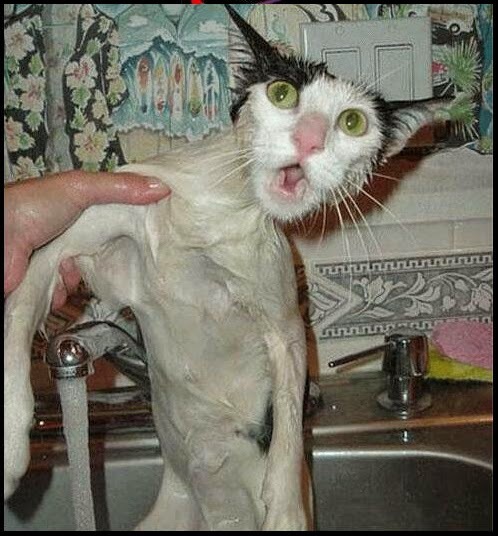 I think this kitty didn't enjoy the bath. 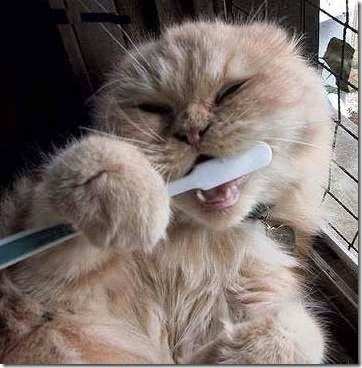 In this picture we have a very neat cat brushing her teeth. 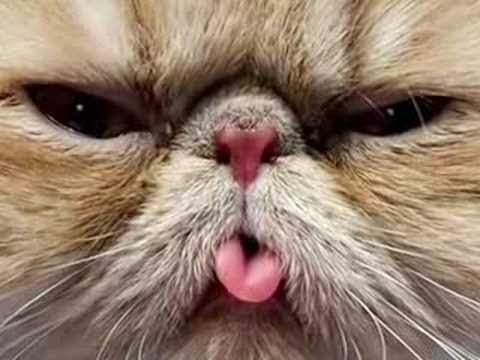 A funny photo of a cat sticking her tongue. 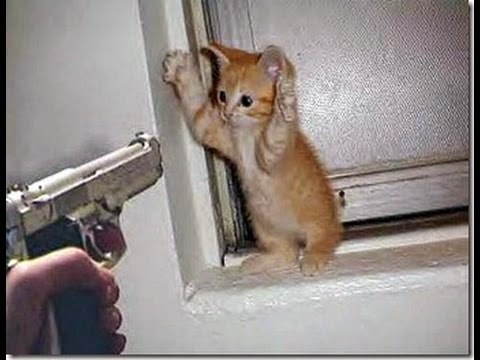 Definitely this little cat did something very bad. 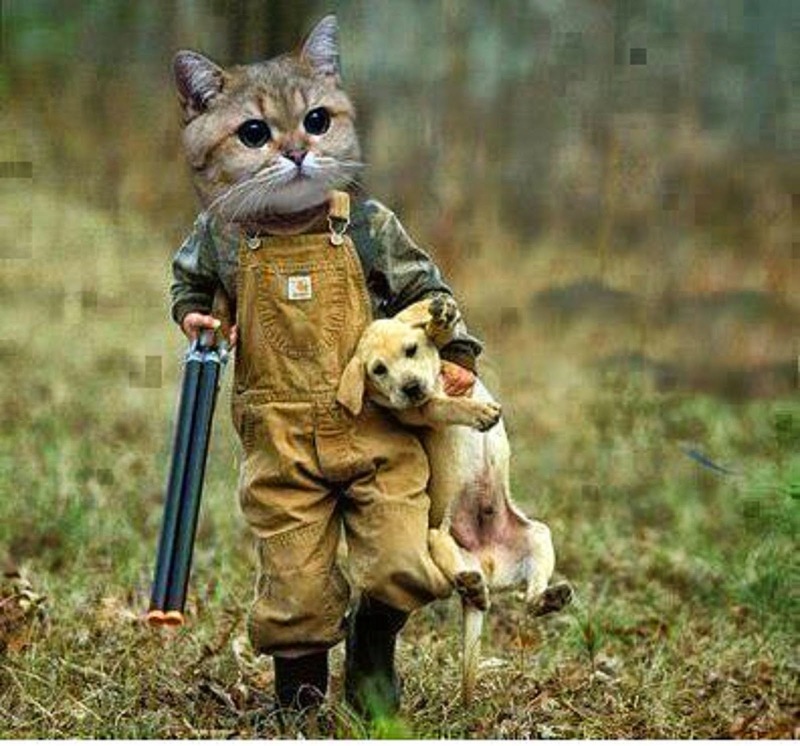 This could be the dream of many cats, especially those who have been persecuted for a dog, this is a hunter cat carrying a small dog as the prey. 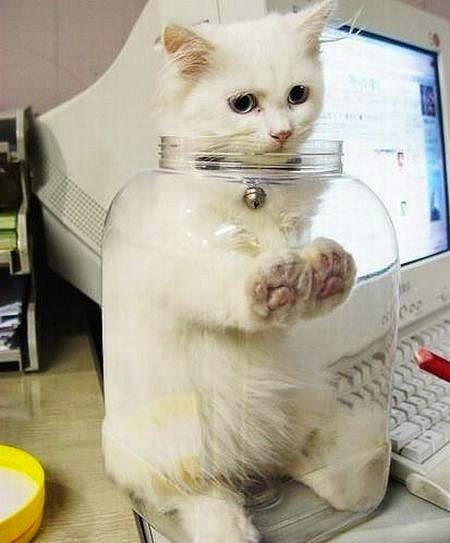 In this picture we have a mischievous white cat inside of a bottle of glass.